I have been writing for quite some time. 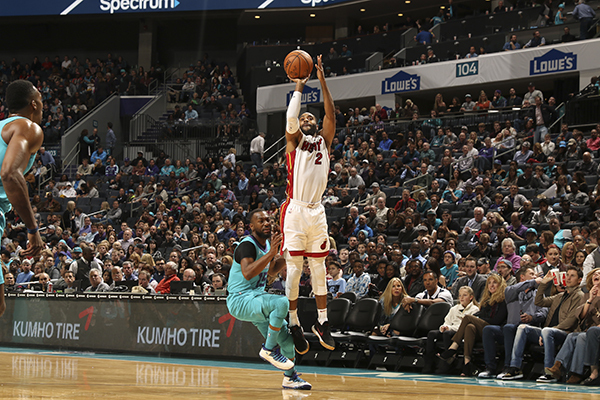 I’ve covered a lot of games, and interviewed a laundry list of coaches and players One of those players is Wayne Ellington whom I met during his senior year of high school at the Episcopal Academy (PA). He and his high school teammate Gerald Henderson were at the top of their class and their games were covered regularly in the local and national media. 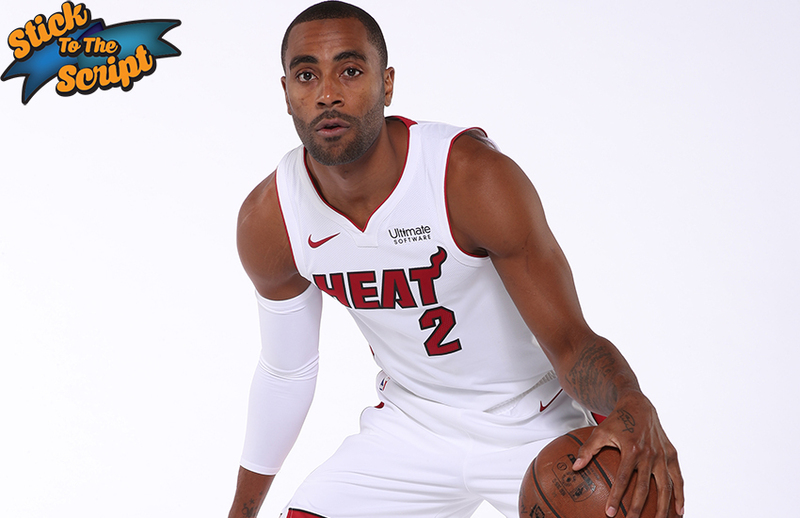 Fast forward, and Ellington is an NBA veteran, currently in his second season with the Miami Heat. Two weeks ago the Heat were in Philadelphia, and last night they returned with one of the pillars of their storied franchise, Dwyane Wade. 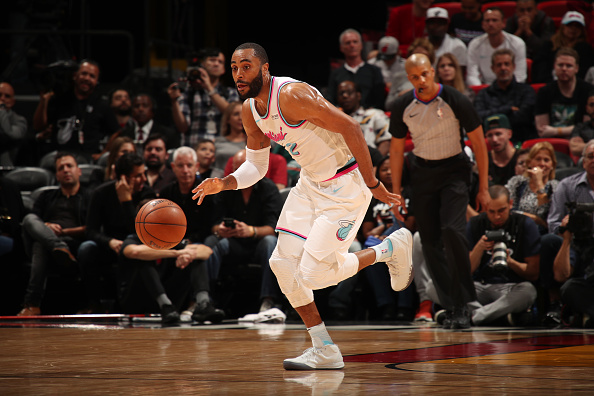 After a close 104-102 loss, I caught up with Wayne Ellington, and we spoke about the upcoming All-Star festivities, the presence of Dwyane Wade, and much more. What’s it like to have Dwyane Wade back with the Miami Heat organization? When you think about the Miami Heat, you can’t get too far in your thoughts without thinking about him. That’s the first thought when you think about the Miami Heat is D-Wade. He built [Miami]. he has the three championships that this organization has. It’s been amazing to have him back. He brings a calming factor to our team. It gets us settled, relaxes us a bit. I think he brings confidence and instills it in all of us. It’s his leadership, him and UD [Udonis Haslem] over there, they’re going to show us the way to get to where we want to get to. You were recruited to North Carolina, Gerald Henderson got recruited to Duke, you became an All-American. At what point did you realize that you could play in the NBA? Honestly, it was always a dream, and I was always confident that I was going to make it happen, even when people didn’t see it the way I saw it. I always had that vision since I was young, I’m talking probably middle school. That was always my vision, going to the NBA. When people, when teachers ask you in school, “what do you want to be…” I wrote NBA player. So that was always my vision man since I can remember. So who did you look up to while growing up? Man, you know, being from the area, I watched AI [Allen Iverson] every night on Comcast, but also I was watching Kobe [Bryant] very heavy. You know, that’s somebody I looked up to, and I wanted to be like, you know what I’m saying, but those two guys man! What was it like when you finally had the opportunity to play against them? It was crazy. Honestly, for me it was like…it was different… I was like man, I’ve watched these guys growing up, I tried to be like these guys. I had a whole Allen Iverson uniform, you know. I had all the Kobe sneakers. I used to go in the gym and try to act like I was Kobe [Bryant], and then I ended up playing with Kobe [Bryant], and we formed a relationship. It’s crazy man, but it was a definite blessing to run into your idols and get on the same floor as them. 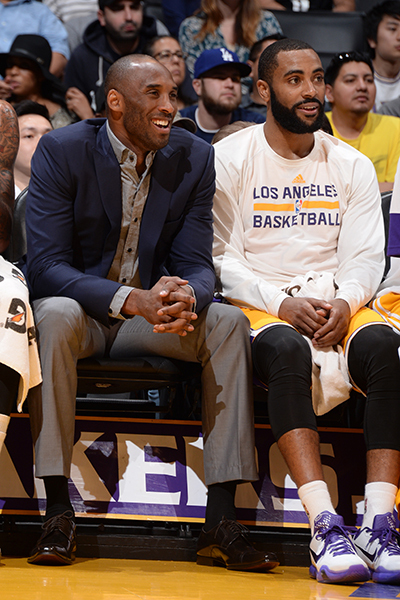 You talked about playing and having all of Kobe’s sneakers. Sneakers have always been a big thing for you. Can you talk about some of your footwear decision making on game days…one game you’ll wear something regular, and then a game like tonight, you’ll pull out something special, what is that all about? It all depends the circumstances and situation: What color our unis are, how I’m feeling… I switch it up pretty often, but I’ve always like sneakers, I’ve always enjoyed sneakers. I always want whatever is hot from Jordan to Kobe, to whatever it may be, even designer sneakers and stuff like that, I’ve always loved sneakers. You’re a participant in the three-point competition and we talked earlier how you are in it to win it, and not just to be there. Yeah, you know, I look at it as I’m going all out. I’m competitive so I’m going in there to win that thing! I’m not going out there to hangout, have a good time, party, and all that. I’m going out there to represent the Heat, myself, and I want to do well. As a shooter, can you give me your top five NBA shooters of all time? Of all-time [gasps]…that’s tough right there…Reggie Miller, Steve Kerr,…Ray Allen…Jeff Hornacek is up there. Some guys I can’t mention because they’re still playing and I have to see them guys…last but not least, I’ll say Larry Bird.